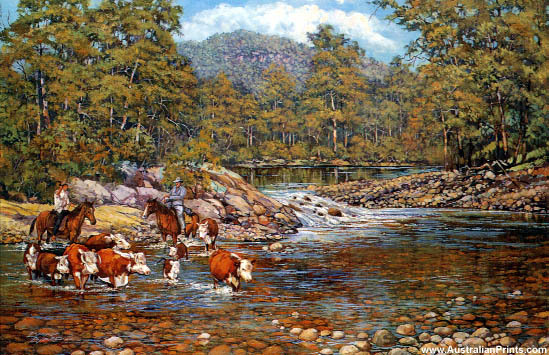 Art prints and quality reproductions of famous Australian artists! David Byard is a realist artist who is able to capture any subject, from wildlife to landscape in many mediums. Born in Victoria, David Byard is a realist artist who enjoys a large following. He is able to capture any subject, from wildlife to landscape in many mediums. Living in the beautiful Belowra Valley on the bank of the Tuross River provides him with many and varied subjects. Byard is represented in corporate, government and private collections worldwide. Artist information page for David Byard. Contact us for enquiries about purchasing the AustralianPrints.com domain and website. 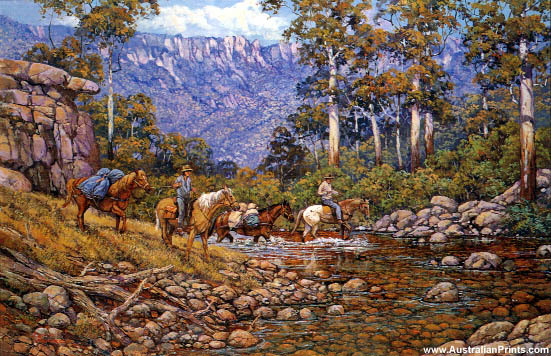 AustralianPrints.com – Art prints and quality reproductions of famous Australian artists and paintings. Visit Australia to discover the unique and beautiful Australian landscape and support the talent of local Australian artists! Please Note: Art prints are no longer available for sale on AustralianPrints.com. This website is a tribute to the great works of art created by some of Australia’s finest artists and painters. AustralianPrints.com is a participant in the Amazon Services LLC Associates Program, an affiliate advertising program designed to provide a means for sites to earn advertising fees by advertising and linking to Amazon.com.